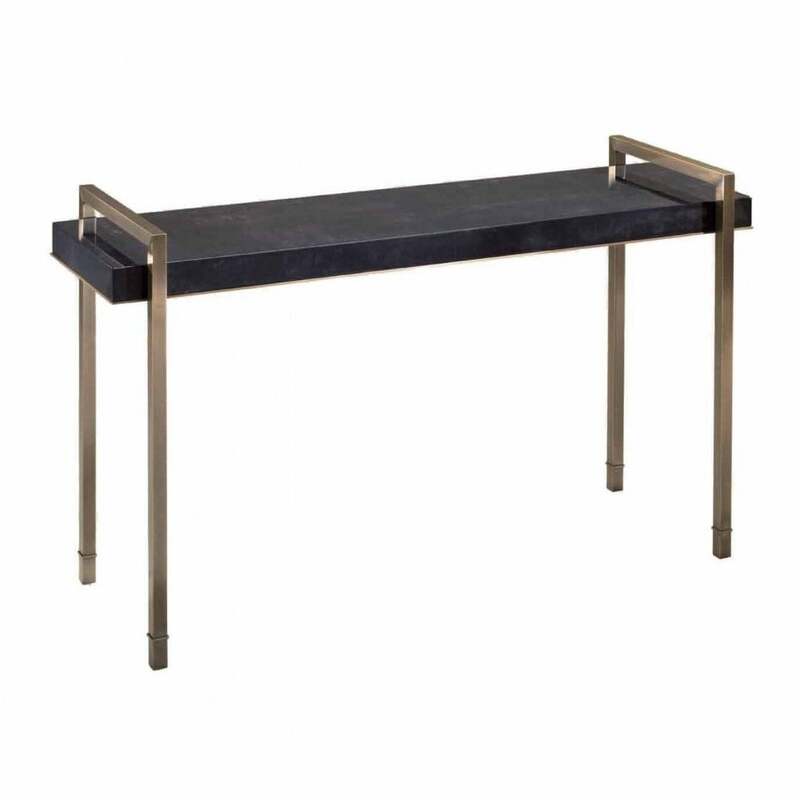 This Bronze Console XVII is shown here with a fully covered top in dark grey parchment and a high gloss finish. The design features bronze legs with bronze trimming detail under the top. The Art Deco inspired lines and sleek look will give an understated, yet glamorous, feel to a hallway or living room. Display a selection of vases, candles and books to add extra personality. Make a statement with a mirror placed above the console table. We recommend Christopher Guy's sunburst style designs to carry on the distinct Art Deco scheme. Priced for Top fully covered in dark grey parchment in high gloss finish, bronze trimming detail under the top and bronze legs.